In my post on Leonardo DaVinci, I spoke about the man's defining success characteristic - curiousity. Despite his multi-disciplinary genius and innovative mindset, his natural curiousity set him apart in his time and allowed him to develop skills and ideas that still shape the world 500 years later. But he was not alone. We know that successful investing requires a curious mind, a multi-disciplinary approach and an ability to see what others can't. The same characteristics that defined DaVinci also are encompassed in Albert Einstein, who was eloquently described by Walter Isaacson as 'the most thoughtful wonderer who appeared among us in three centuries.' 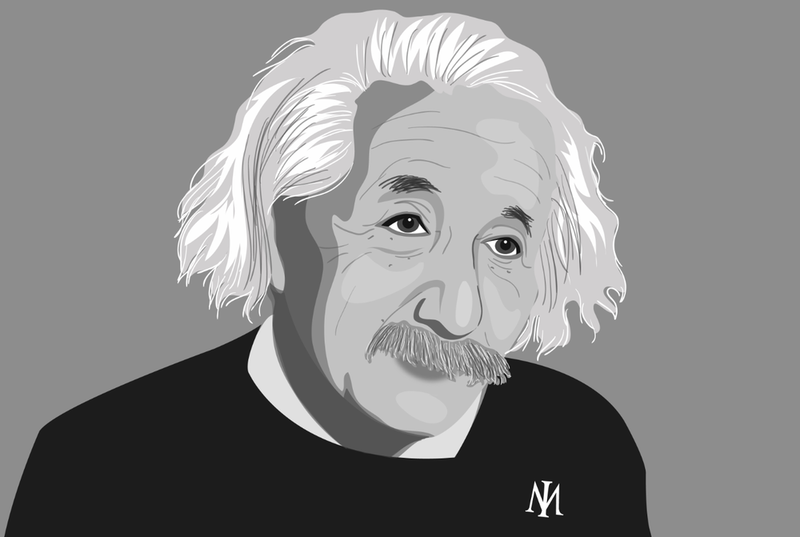 It's little wonder many of the Investment Masters admire Albert Einstein, and that they have spent time studying his characteristics and processes as an aid to better thinking and more successful investing. I always enjoy reading those books recommended by the Investment Masters and Walter Isaacson's biographies are regular fare. Ray Dalio, in his recently released book 'Principles' shares his endeavors to learn more about the people he considered 'shapers.' These are people whom he defines as, 'a person who comes up with unique and valuable visions and builds them out beautifully, typically over the doubts and opposition of others.' Examples Dalio cites include Jeff Bezos, Elon Musk, Steve Jobs, Lee Kuan Yew, Andrew Carnegie, Einstein, Darwin et al. After reading Isaacson's book on Steve Jobs, Dalio sought out Isaacson to help understand Steve Job's qualities and principles in an attempt to form an archetype of a typical 'shaper.' Dalio explains, "I started by exploring the qualities of Jobs and other shapers with Isaacson, at first in a private conversation in his office, and later at a public forum at Bridgewater. Since Isaacson had also written biographies of Albert Einstein and Ben Franklin - two other great shapers - I read them and probed him about them to try to glean what characteristics they had in common." "In 1915, he [Einstein] wrestled from nature his crowning glory, one of the most beautiful theories in all of science, the general theory of relativity. As with the special theory, his thinking had evolved through thought experiments." "[Einstein] was comfortable not conforming. Independent in his thinking, he was driven by an imagination that broke from the confines of conventional wisdom." [Einstein] made imaginative leaps and discerned great principles through thought experiments rather than by methodical inductions based on experimental data"
"As a young student he never did well with rote learning. And later as a theorist, his success came not from the brute strength of his mental processing power but from his imagination and creativity." "He was very uncomfortable in school. He found the style of teaching - rote drills, impatience with questioning - to be repugnant." "[Einstein said] 'The value of a college education is not the learning of many facts but the training of the mind to think.'" "Skepticism and a resistance to received wisdom became a hallmark of his life." 'Einstein once explained, 'The ordinary adult never bothers his head about the problems of space and time. These are things he had thought of as a child. But I developed so slowly that I began to wonder about space and time only when I was already grown up. Consequently, I have probed more deeply into the problem that an ordinary child would have.'" "[Einstein] wrote a friend in later life: 'We never cease to stand like curious children before the great mystery into which we were born." "[Einstein] generally preferred to think in pictures, most notably in famous thought experiments, such as watching lightning strikes from a moving train or experiencing gravity while inside an elevator. 'I rarely think in words at all', he later told a psychologist." "The visual understanding of concepts .. became a significant aspect of Einstein's genius"
"[Einstein's] visual imagination allowed him to make the conceptional leaps that eluded more traditional thinkers"
"His success came from questioning conventional wisdom, challenging authority, and marveling at mysteries that struck others as mundane." "[Einstein's] view of maths and physics as well as of Mozart, 'like all great beauty, his music was pure simplicity'." "Throughout his life, Albert Einstein would retain the intuition and the awe of a child. He never lost his sense of wonder at the magic of nature's phenomena - magnetic fields, gravity, inertia, acceleration, light beams - which grown-ups find so commonplace." "'A new idea comes suddenly and in a rather intuitive way,' Einstein once said." "Einsteins's discovery of special relativity involved an intuition based on a decade of intellectual as well as personal experiences." "He postulates grand theories while minimising the role played by data ... he described his approach .. 'The truly great advances in our understanding of nature originated in a way almost diametrically opposed to induction. The intuitive grasp of the essentials of a large complex of facts leads the scientist to the postulation of a hypothetical basic law or laws. From these laws, he derives his conclusions.'" "Einstein invited Saint-John Perse to Princeton to find out how the poet worked. 'How does the idea of a poem come?' Einstein asked. The poet spoke of the role played by intuition and imagination. 'It's the same for a man of science,' Einstein responded with delight. 'It is a sudden illumination, almost a rapture. Later, to be sure, intelligence analyses and experiments confirm or validate the intuition. But initially there is a great forward leap of the imagination.'" "There was a link between his [Einstein's] creativity and his willingness to defy authority. He had no sentimental attachment to the old order, thus was energised by upending it." "Among many surprising things about the life of Albert Einstein was the trouble he had in getting an academic job." 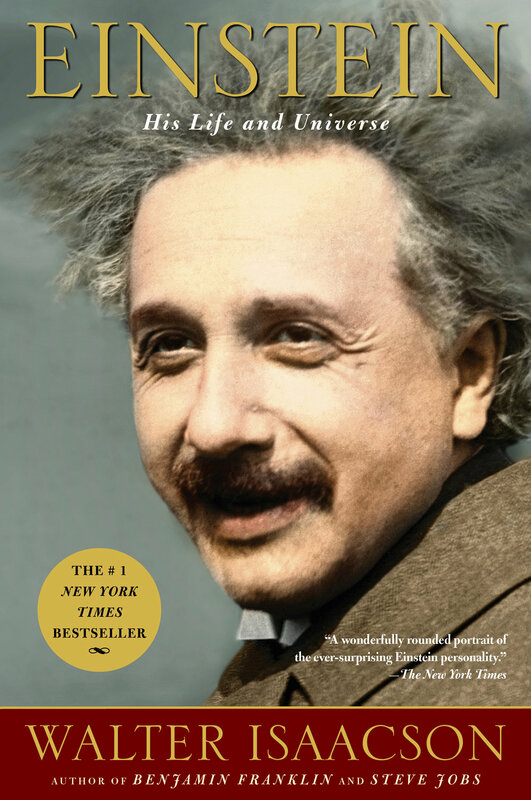 "Einstein believed there was 'a definite connection between the knowledge acquired at the patent office and the theoretical results.'" "[Poincare spoke of Einstein, noting he] 'adapts himself to new concepts. He does not remain attached to classical principles, and, when presented with a problem in physics, is prompt to envision all the possibilities.'" "Although he was tenacious, he was not mindlessly stubborn. When he finally decided his 'Entswurf' approach was untenable, he was willing to abandon it abruptly." "Like a good scientist, Einstein could change his attitudes when confronted with new evidence." "For a scientist, altering your doctrines when the facts change is not a sign of weakness." "For a scientist to change his philosophical beliefs so fundamentally is rare." "When shown his office [at Princeton], he was asked what equipment he might need. 'A desk or table, a chair, paper and pencils," he replied. "Oh yes, and a large wastebasket, so I can throw away all my mistakes." "His life was a constant quest for unifying theories." "When excited discussion failed to break the deadlock, Einstein would quietly say in his quaint English, 'I will a little tink.'" "Einstein proclaimed 'Blind respect for authority is the greatest enemy of truth.'" "[Einstein] had an urge - indeed, a compulsion, to unify concepts from different branches of physics. 'It is a glorious feeling to discover the unity of a set of phenomena that seem at first to be completely separate' he wrote." "The wariness of authority reflected the most fundamental of all Einstein's moral principles: Freedom and individualism are necessary for creativity and imagination to flourish." "Creativity requires a willingness not to conform. That required nurturing free minds and free spirits, which in turn required a 'spirit of tolerance', And the underpinning of tolerance was humility - the belief that no one had the right to impose ideas and beliefs on others." "[Einstein's] mind and soul were tempered by this humility. He could be serenely self-confident in his lonely course yet also humbly awed by the beauty of nature's handiwork." "How did he get his ideas? 'I'm enough of an artist to draw freely on my imagination. Imagination is more important than knowledge. Knowledge is limited. Imaginations encircles the world.'" "Simplicity and unity, he believed, were hallmarks of the Old One's handiwork. 'A theory is more impressive the greater the simplicity of its premises, the more different things it relates, and the more expanded its area of applicability' he wrote." '[Einstein said] 'I simply enjoy giving more than receiving in every respect, do not take myself nor the doings of the masses seriously, am not ashamed of my weaknesses and vices, and naturally take things as they come with equanimity and humour." "As he put it near the end of his life, "I have no special talents: I am only passionately curious."